In Need of Professional Cleaning? Having your pipes get dirty can cause them to mimic a lot of other plumbing problems. Slow draining and frequent toilet overflows, for instance, are similar symptoms that you might find if you have a problem with your septic system. That’s why it’s important to work with a competent drain cleaner that has the knowledge and experience to find the source of your issue. You don’t want to get a sewer line replacement when cleaning the drains can work just as well at a fraction of the cost! With more than six decades of experience, at John’s Plumbing & Pumps, Inc, we can do drain cleaning in Olympia and much much more! Our modern cleaning techniques might seem like magic! Hydro jetting is a modern technique for cleaning drains that involves using highly-pressurized water to clean the inside of your pipes. This high pressure is powerful enough to remove debris such as grease, fats, oils, and clogs, but precise enough that it won’t hurt your pipes. It’s a fast and effective method of cleaning, but it’s important that our plumber finds out if there are other issues first, such as combining this with video line inspections. Otherwise, it might end up causing more problems instead of being the solution! Why would my drains need to be cleaned? 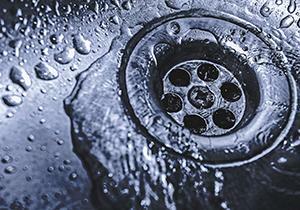 Your drains might need to be professionally cleaned for a number of reasons. Having us do the work can not only fix problems that you have with your drainage, but it could even help them work better than ever before. Drain cleaning may be able to fix problems with slow drainage. Usually, slow draining is the result of buildups that have accumulated over time and are difficult to remove. By having our expert plumbers clear up the drains, the problem could be resolved right away. Having us come by to clear up the drains could resolve any issues you have with your toilet bowl. Overflowing toilet bowls, as well as toilets that won’t fill up all the way, may be the result of dirty drains. 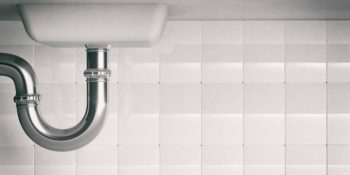 If you have any clogs or obstructions in your pipes, our drain cleaning methods may be able to clear them away. Some stubborn clogs can withstand chemical drain cleaners and consumer methods of drain clearing and need an expert’s touch to get rid of. Call us and we’ll see that it gets taken care of the right way! Our combination of service and experience are unmatched! When you need assistance with your plumbing in Lakewood, you won’t find anyone around that can match our combination of experience and service. With over 60 years of experience as plumbers, we know what to look for and how to pinpoint the source of the problem. We’re always honest and upfront with our findings so you can make an informed decision about how to proceed next. When you call us for drain cleaning in Olympia or for any plumbing service, you’ll be met with fast and friendly service and expertise that won’t be beat. Find out for yourself and try us today!